The Eid al-Fitr weekend is a day away, and the list of all the exciting events happening this weekend, Events this Weekend, is ready. 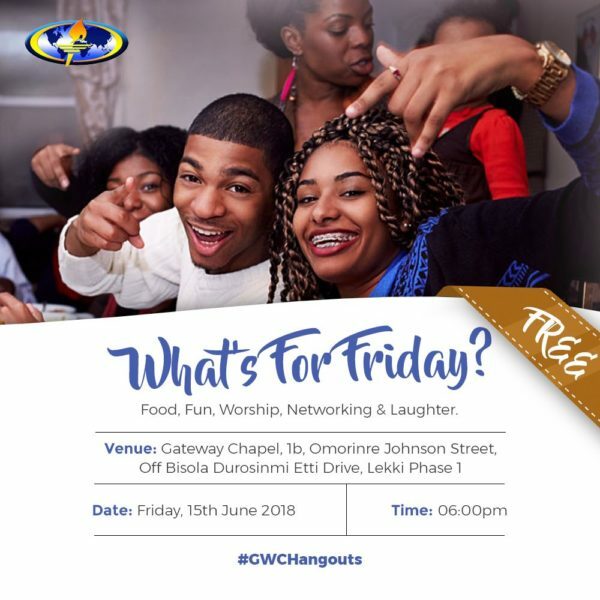 Join us for the maiden edition of GWC Hangouts. It’s an avenue to have fun, network with like minds, and be entertained in God’s presence. 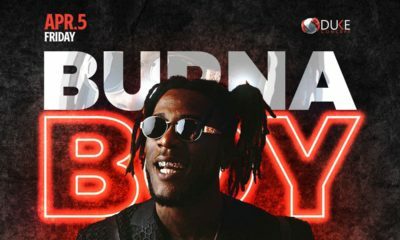 Date: Friday, June 15, 2018. Venue: 1b, Omorinre Johnson Street, Off Bisola Durosinmi Etti Drive, Lekki Phase 1, Lagos. 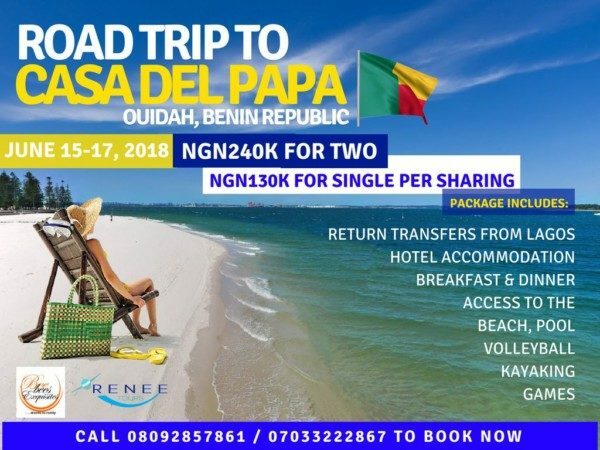 Join us for an amazing outing to Casa Del Papa in Benin Republic. Date: Friday, June 15 – Sunday, June 17, 2018. It’s the Night of Supremacy! It’s an annual promoted brought to you by TecHod and Club Trojan. Venue: Lagoon Crest, Admiralty Road Lekki Phase 1, Lagos. Venue: Salem Montessori School, 13 Ogiesoba avenue off Airport Road, Benin City. 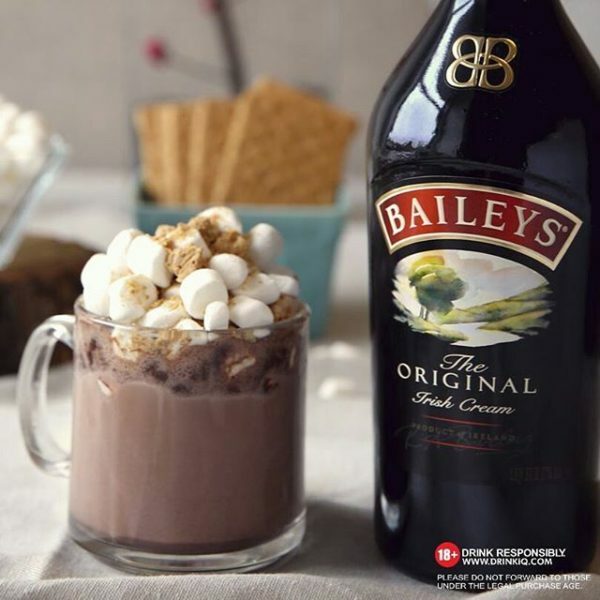 Baileys BakeFest returns to deliver another bout of excitement with indulgence like you have never imagined! If you thought last year was awesome, wait till you see what is in stock this year. 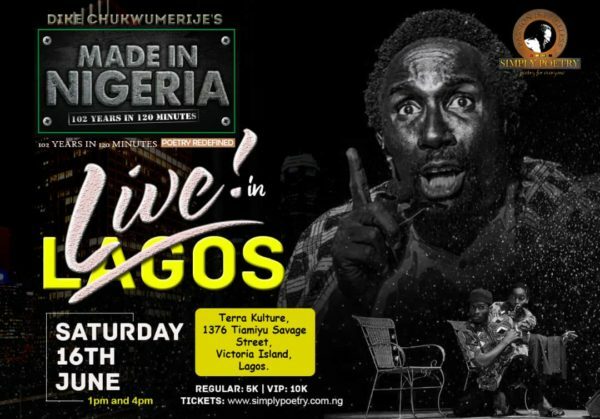 Come watch Governor Akinwunmi Ambode in the stage play Isale Eko, let him take you on a tour of Lagos. Time: 1 PM, 3 PM & 5 PM. Venue: Agip Recital Hall, Muson Center. 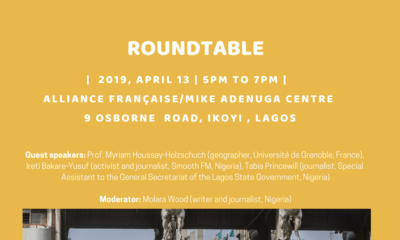 Venue: Terra Kulture, Victoria Island, Lagos State. We will love to see you at our Pop Up Shop this weekend! We are having major sales from 5k – 15k. We are also offering 10% off on all our new arrivals. Date: Saturday, June 16 – Sunday, June 17, 2018. Time: 12 PM Saturday, 2 PM Sunday. 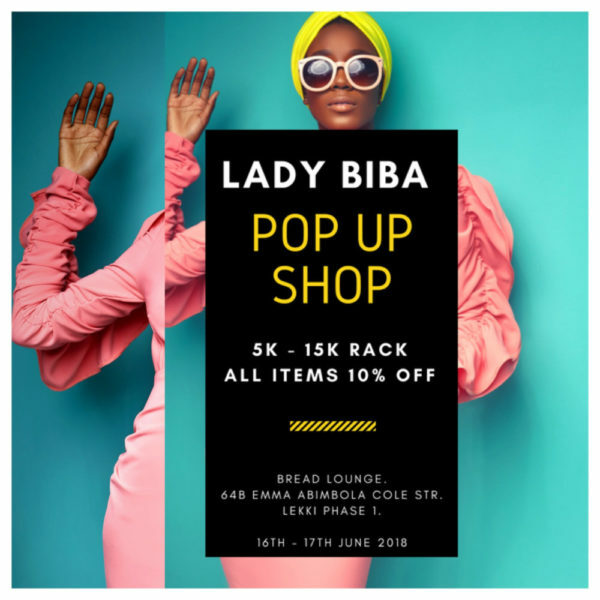 Venue: Bread Lounge, 64B Emma Abimbola Cole Street, Lekki Phase 1, Lagos. 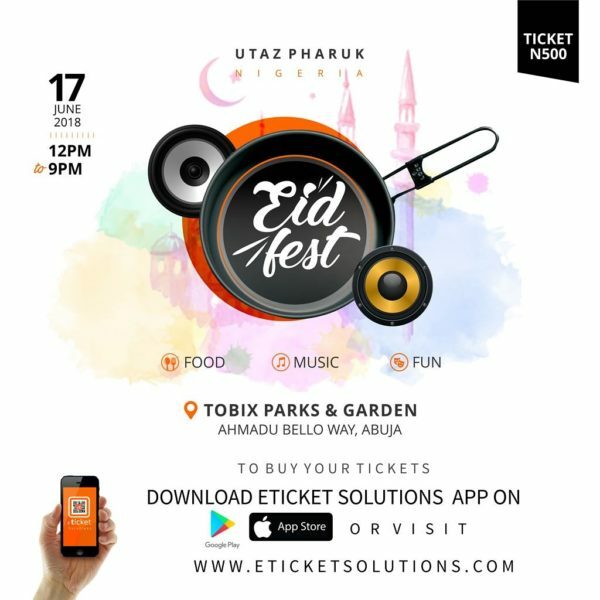 It’s an annual Sallah party put together by Utaz Pharuk. 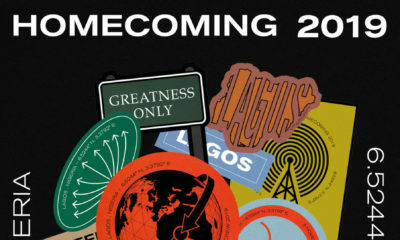 It’s Fun, Foods, Drinks, and Music for just a token of N500. Date: Sunday, June 17, 2018. Venue: Tobix Parks and Gardens, Ahmadu Bello Way, Abuja. 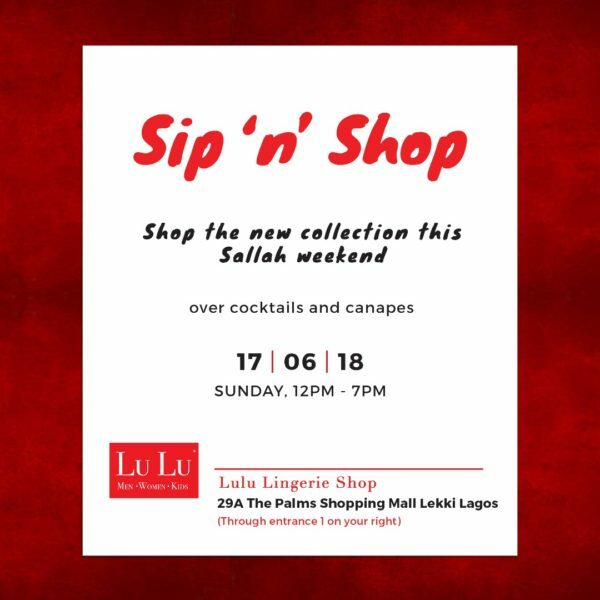 Come have a cocktail and some canapés with LuLu Lingerie this Sunday at The Palms Mall, Lekki. Venue: Lulu Lingerie Shop, 29A The Palms Mall, Lekki.